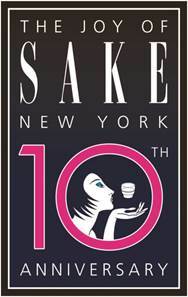 On Thursday, September 26 The Joy of Sake marks its tenth anniversary in New York with a gala event at The Altman Building in Chelsea, featuring the finest sakes in the world paired with traditional and contemporary Asian cuisine from top New York restaurants. A non-profit organization dedicated to sake education and enjoyment, The Joy of Sake has witnessed tremendous growth since its beginnings in Honolulu in 2001. Chris Pearce. Photo by Dennis Oda. 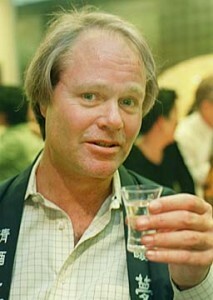 Pearce and his associates realized that since they had access to top quality sake that was being sent to Hawaii for competitions, they should do a public tasting event. Out of this, The Joy of Sake was born. The first year of the event saw between 60 and 65 breweries pouring 124 different sakes. This year, the number has blossomed to 192 breweries and 384 entries. The Joy of Sake in Honolulu on August 16 of this year was sold out, with more than 1,500 people attendance. As the number of breweries and entries in The Joy of Sake has increased, so has the popularity of sake in the US. And to what does Pearce attribute that growth? Throughout the years Pearce has observed that even though there are a daunting number of entries at his event, guests generally taste the gold-medal sakes or the ones that aren’t available in the United States. No one could possibly try 384 sakes in three hours, but Pearce explains that the serving size allows people to sample 20 to 30 sakes. Each year Pearce looks forward to bringing The Joy of Sake to New York because “it’s a really diverse, interesting, eclectic group of people that shows up,” says Pearce. Not only will that group enjoy high quality sake, but they have the chance to pair it with specially crafted dishes from restaurants such as Brushstroke, En Brasserie, SakaMai, 15 East, and even Keizo Shimamoto’s Ramen Burger. (Click here for a complete list of participating restaurants.) Pearce and companies that import sake cultivated relationships with these restaurants to celebrate sake and to show New Yorkers that the beverage can be enjoyed with a variety of food. Pearce hopes to draw between 600 and 700 thirsty New Yorkers to The Joy of Sake on September 26, and he hopes they gain a better understanding of the many types of sakes and the new styles that brewers are producing. The Joy of Sake takes place on Thursday, September 26 from 6:00 p.m. until 9:00 p.m. at The Altman Building, located in Chelsea at 135 W. 18th Street (between 6th and 7th Avenues). Ticket are $95 in advance and $110 at the door. Readers of JapanCulture•NYC can use the code YASU to receive a $10 discount. To purchase tickets, please visit The Joy of Sake’s website or call 888.799.7242.